Suppliers of Fencing, gates, timber, feed & produce, animal health, crop protection, hardware, seed & fertiliser and saddlery. Springsure Rural provides an extensive range of agricultural supplies including chemicals, animal health products, stockfeed and produce and fencing equipment. 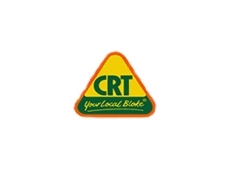 Coastal Rural Traders provide the following services: Stockfeed, Petfood and Accessories, Animal Health, Fencing, Water Tanks and Fertilisers. 10/07/08 - Halcroft & Bennett offers different types of homes for auction. Halcroft & Bennett offers modest clad homes at auctions come with two beds plus sleep out, fenced house yards and comes with ten acres of land. 09/07/08 - Halcroft & Bennett specialises in offering a wide range of professional services. 17/08/06 - Ruralco’s Simplot Simphos is a concentrated liquid fertiliser containing high levels of phosphorus and nitrogen and can substitute solid fertilisers at plant in broadacre horticultural situations. 17/08/06 - AgroBest Australia P/L has developed a unique product to assist with the production of high quality hay andsilage under less than ideal conditions.